Selecting the best nursing school in Texas can be difficult. To make the process easier first look for a school that supports students towards licensure and beyond. A great way to measure this is through NCLEX-RN "pass rates." We have ranked the top 50 nursing schools in Texas by analyzing current and historical NCLEX-RN "pass rates", meaning the percentage of graduates who pass the exam, out of the 119 RN programs in the state. Programs reviewed include schools that offer an Associate in Nursing (ADN/ASN), BSN, or Direct-Entry MSN Degree. They say everything is bigger in Texas, and this includes the state's nursing needs. 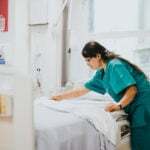 The Texas Center for Nursing Workforce Studies reports that the state's supply of registered nurses will fall short of demand for each year from 2015 to 2030. This creates an incredible opportunity for anyone thinking about becoming a registered nurse. With a median salary of $69,890 annually (per the Bureau of Labor Statistics), starting a career as a registered nurse in Texas is not only rewarding, it's lucrative as well. An Associate's Degree in Nursing (ADN) is a great way to break into a career as a registered nurse. These programs are extremely popular due to their affordability and relatively short duration of just 2 years. Since ADN programs are commonly offered at community and technical colleges, they are widely accessible as well. There are over 65 schools in Texas that offer ADN programs all throughout the state. Choosing a properly accredited school is crucial. A few national organizations to look for when checking a school's accreditations include the Accreditation Commission for Education in Nursing (ACEN) and the American Association of Colleges of Nursing's Commission on Collegiate Nursing Education (CCNE). It's also important to ensure that the program is recognized locally by the Texas Board of Nursing. You'll want to be sure that the ADN program you select will fully prepare you to take the National Council Licensure Examination for licensure as a Registered Nurse (NCLEX). It's wise to take a look at your prospective school's curriculum to ensure that their courses and instructors will help you reach this goal. The American Association of Colleges of Nursing reports that in 2015, approximately 85.7% of new nurse grads who took their NCLEX exam received their nursing license. Brookhaven College, located in Dallas, is just one of the many ADN programs in the state that is properly accredited. There are many things to factor in when considering the cost of an ADN program. Tuition is the biggest one, along with additional costs like uniforms, textbooks, and other supplementary fees, many of which are not included in the tuition cost. It's always smart to inquire with your school of choice about what exactly is covered in the tuition fee so that you can factor in any additional expenses. As an example, the ADN program at Navarro College in Corsicana, TX works out to roughly $7,200 for tuition, not including additional expenses like lab fees, books, or other supplies. Going forward with an ADN program is an excellent choice if you are looking to start a career in healthcare. At roughly 2 years in length, it gets you into the working world much more quickly than a traditional 4-year degree, and it also tends to be much more affordable. It is also widely available at many junior and technical colleges, meaning that you'll be able to find a program near you whether you live in a highly populated city or in a more suburban or remote area. Many Licensed Vocational Nurses (LVNs) in the state of Texas have aspirations of becoming registered nurses. For these nurses, LVN to RN programs are a perfect choice, as they take into consideration the student's prior nursing education and experience. There are a number of choices for those wishing to enroll in an LVN to RN program. Some nurses decide to pursue an LVN to ADN program, which culminates in the basic associate degree in nursing. These are popular programs because they often take just a few semesters to complete. The Dallas Nursing Institute, for example, offers an LVN to ADN program that shaves nearly 6 months off their traditional ADN pathway. For those interested in a baccalaureate nursing degree, the LVN to BSN program pathway is ideal, with a curriculum that bridges the gap between vocational nurse and registered nurse. Sam Houston State University in Huntsville offers an LVN to BSN for those wanting to pursue the coveted bachelor's degree. Both LVN to ADN and LVN to RN programs will typically require an active LVN license, a minimum GPA, and official transcripts/test scores to be eligible for admission. If you are interested in a more advanced nursing degree, a Bachelor's of Science in Nursing (BSN) is the way to go. Earning a BSN will take longer than earning an ASN - BSN programs are traditionally 4 years in length. However, a BSN opens the door to increased earning potential and greater career opportunities; for example, jobs such as public health nurse and nurse educator can be obtained if you hold a BSN. Some schools offer an accelerated program that can get you out of school much quicker, and if you are already an RN, there are shorter RN to BSN programs rising in popularity as well. With over 50 schools in Texas that offer BSN programs, finding one to suit your needs is easier than ever. With so many options for BSN programs, you'll need to do a bit of research to ensure you are choosing the right one for you. Things like cost, accreditation, program outcomes, and location are all important factors to consider. You may also want to inquire with prospective schools about whether they offer online courses. If you are already an RN looking to complete a BSN, or if you'd prefer an accelerated BSN program, you'll need to be on the lookout for these program options as well. Midwestern State University, located in Wichita Falls, TX, is just one example of a school that offers a properly accredited BSN program in the state. A traditional BSN program lasts 4 years. Some schools also offer accelerated BSN programs which can dramatically shorten the length to as little as 16 months. If you are already an RN, you can look into RN to BSN programs, which are typically shorter at roughly 1-2 years in length. 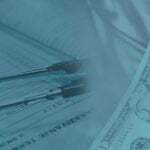 You can expect to incur some expenses when going to school for your BSN. Tuition, along with extras like books, uniforms, lab fees, and more will all have to be accounted for when you are budgeting for a BSN program. As an example, the estimated cost for in-state tuition and fees for a traditional BSN at Texas A&M University, which has locations in Bryan, Round Rock, McAllen and Lufkin, is approximately $25,994. This does include extras such as loan fees, room and board, books, supplies, travel, and personal expenses. A BSN is ideal for someone looking for increased job opportunities in the world of registered nursing. The potential for higher pay and more responsibility are just 2 of the reasons why a BSN might offer a competitive edge over other types of nursing programs. It's also a great way to advance if you are already an RN and looking to move forward in your career. A Master's of Science in Nursing degree (MSN) is the next step in nursing education beyond a BSN. This advanced degree can lead to nursing jobs including Clinical Nurse Specialist, Certified Nurse Midwife, and Nurse Practitioner, among other specialties. Please keep in mind that in order to go for an MSN, you must already hold a BSN degree. There are more than a few MSN programs at schools scattered all throughout the state. On average, an MSN can take 2-3 years to complete, depending on the school and type of schedule you choose. Most MSN programs are designed for busy working nurses and therefore offer flexible schedules; some even offer night and/or online courses. If you are considering an MSN, it's a good idea to inquire with your school of choice about what types of coursework schedules they offer. Tuition and fees for schools that offer MSN programs can vary widely. For example, the estimated tuition for an MSN on a Clinical Nurse Leader track at the University of Texas Medical Branch in Galveston is $16,168. Add to this another $4,270 for course fees and textbooks, and you have a total cost of $20,438. 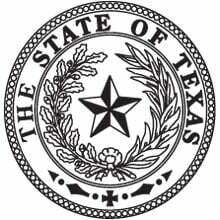 Texas has clear regulatory conditions for licensure by either examination or endorsement that include graduating from a state approved School of Nursing and passing the NCLEX exam. Some nurses desire more advanced nursing roles. This transition can be done via accelerated programs or direct-entry MSN programs, both of which are available within the state. Direct-entry to an MSN program does require a 3-year full-time commitment, whereas an accelerated program can be completed full-time in 10 to 15 months. Both programs are full-time due to their rigorous nature, and have prerequisite courses prior to entrance. Courses and fees are dependent upon which program and college you will be attending. Longview's LeTourneau University leads the pack with a stellar BSN program that prepares nurses to meet the needs of the community and fill in the increasing nursing shortage. Enrolled students partner with faculty on research projects and complete clinical hours in real-world environments. LETU's program also boasts an impressive 100% NCLEX pass rate, as well as a 100% graduate placement rate. Learn more by visiting the LeTourneau University nursing website. 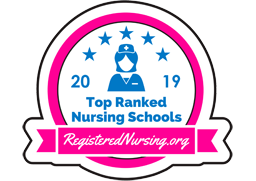 Texas State University - St. David's School of Nursing only admits top nursing student candidates, which in turn creates the highest quality graduates from their excellent BSN program. Texas State offers interactive simulations labs, supportive faculty, and curriculum to meet the most complex medical situations. Check out the official Texas State University nursing program. University of Houston - College of Nursing offers excellent and flexible programs for those busy students who want to obtain a degree in nursing. With a strong educational foundation, graduates enter the workforce confidently and prepared to take on challenges head first. Get all the program details by visiting the University of Houston website. The shortage of nurses in Texas is reaching an all-time high, and Texas A&M University Health Science Center is prepared to fill that gap. Cutting-edge technology, rigorous theoretical and clinical practices are all being utilized at TAMU, and expectations are being exceeded. Learn more by visiting the Texas A&M University - Health Science Center nursing website. Concordia University Texas offers both a traditional and an accelerated BSN program that are highly competitive. These CCNE-accredited programs give students the tools they need to find success as nursing caregivers. Learn more by visiting the Concordia University Texas nursing website. East Texas Baptist University (ETBU), located in Marshall, offers a quality BSN program centered in Christ. Their health care philosophy is rooted in tradition and grounded in evidence and innovation. Follow the link to learn more about the East Texas Baptist University nursing program. A nursing curriculum based on principles and concepts from the sciences and humanities is what sets this program apart from others. Big Spring, Texas' Howard College is dedicated to providing health care that revolves around people as a whole and fosters communication between patients, families, and professionals. Check out the official Howard College nursing program. Laredo Community College educates tomorrow’s nurses through a traditional ADN and an ADN transition program geared toward LVNs and other medical personnel looking to enter registered nursing. These programs prepare students to provide direct patient care in a variety of health care settings. Follow the link to learn more about the Laredo Community College nursing program. The University of the Incarnate Word’s BSN programs are provided as a traditional track and second-degree track for those who already hold a bachelor’s degree in another subject. UIW’s nursing education building offers a state-of-the-art clinical learning center where students can learn through high-fidelity simulated experiences. Check out the official University of The Incarnate Word nursing program. On 250 acres of residential land, in the city of Canyon, Texas, is where one can find the dedicated nursing department of West Texas A&M University. Experienced faculty, modern technology, and challenging curriculum are just a few of the highlights of this exceptional BSN program. Visit the West Texas A&M University nursing website to learn more. Students looking for a BSN education can count on the University of Texas Medical Branch for teaching top patient-centered care. Graduates from UTMB School of Nursing in Galveston have been described as 'indispensable' in the nursing profession. Visit the University of Texas Medical Branch nursing website to learn more. Being able to implement evidence-based, patient-centered solutions in a timely manner is how students from Houston's University of Texas Health - School of Nursing are taught to provide nursing care to a broad range of patient populations, via the school's top BSN program. Learn more by visiting the University of Texas Health Science Center at Houston nursing website. Faith, leadership, service, and excellence are what is expected of graduates from Baylor University in Dallas, Texas. The Baylor philosophy and curriculum are built around the cornerstone of nurses being called to serve. Follow the link to learn more about the Baylor University nursing program. Texas Tech University - Health Sciences Center offers a BSN program that boasts state-of-the-art nursing education. With both classroom and hands-on learning opportunities, students are given the tools to become nursing leaders. Follow the link to learn more about the Texas Tech University - Health Sciences Center nursing program. Seguin’s Texas Lutheran University offers a competitive entry BSN program. Enrolled students enjoy average class sizes of 30 students or less and hands-on training in state-of-the-art simulation labs. Learn more by visiting the Texas Lutheran University nursing website. Texas Christian University’s BSN program puts students in the center of a dynamic career field that only continues to grow. Clinical placements at TCU begin as early as sophomore year so that students can gain hands-on nursing experience. Follow the link to learn more about the Texas Christian University nursing program. Nursing professionals should be compassionate, ethical, critical thinkers who are able to provide holistic healthcare; all of these attributes perfectly describe the graduates of the BSN program at Stephen F. Austin University in Nacogdoches, Texas. These skills are taught in a safe and supportive learning environment at SFA that is second to none. Follow the link to learn more about the Stephen F. Austin State University nursing program. Soon to be celebrating their 100th year of nursing education, Covenant School of Nursing in Lubbock, Texas is steeped in tradition, devoted to lifelong learning and excellence in nursing education. Graduates are supported and encouraged to reach their full potential of nursing excellence. Check out the official Covenant School of Nursing nursing program. Students in the ADN program at Blinn College of Bryan, Texas can expect experienced faculty, stimulating learning environments, and hands-on practical components that will excel success rates for students and for professional nurses upon graduation. Follow the link to learn more about the Blinn College nursing program. 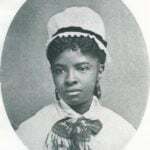 Research, innovation and diversity are only a few of the attributes of the nursing programs offered at the University of Texas - Austin School of Nursing. Become a leader in health care by joining the renowned school of nursing. Follow the link to learn more about the University of Texas - Austin nursing program. The need for community health care in Laredo, Texas is being met by Texas A&M International University through BSN and MSN programs. Cultural diversity and patient-centered care are the cornerstones of the curriculum, which is delivered by seasoned faculty. Get all the program details by visiting the Texas A&M International University website. Montgomery’s Lone Star College offers an excellent associate degree pathway for registered nursing. Prospective students can choose between a traditional ADN and an ADN transition program designed for current LVNs and licensed paramedics. Get all the program details by visiting the Lone Star College - Montgomery website. Alvin Community College in Alvin, Texas offers a program like no other and has received praise for its graduates' success rate on the licensure exam. Affiliations with community clinics and renowned Texas hospitals offer graduates greater opportunities and skill building situations. Visit the Alvin Community College nursing website to learn more. Nursing is thought to be a profession of lifelong learning due to the ever-changing dynamics. Graduates from University of Texas - Tyler are exposed to a variety of clinical environments to emphasize this same philosophy. Follow the link to learn more about the University of Texas - Tyler nursing program. Amarillo College’s ADN program is fully accredited and board-approved to educate the next generation of registered nurses. The program’s mission is to prepare students for licensure and entry-level nursing practice in response to community needs. Check out the official Amarillo College nursing program. Mountain View College, located in bustling Dallas, offers a full-time ADN program that can be completed in just 18 months. The clinical portions of the program are offered in both day and evening timeframes for busy students. Follow the link to learn more about the Mountain View College nursing program. Panola College’s ADN program is ACEN-accredited and board approved. Their mission is to provide an environment of learning that produces caring, ethical, competent, and professional nurses. Check out the official Panola College nursing program. Brookhaven College offers an ADN program committed to preparing a caring and competent registered nurse. Graduates of this accelerated program provide holistic care to a diverse population. Check out the official Brookhaven College nursing program. Lone Star College’s Tomball campus offers traditional and transitional ADN programs for prospective students. These programs are founded on an integrated curriculum model composed of both classroom and clinical content. Get all the program details by visiting the Lone Star College - Tomball website. Texas Woman's University in Houston, Texas has built their Bachelor's of Science in Nursing program to model collaborative thinking, effective communication, and advocacy to improve the outcomes in health care. Nurses from this program show exemplary confidence in all aspects and are highly skilled. Visit the Texas Woman's University nursing website to learn more. The School of Nursing at The University of Texas Health Science Center, now known as UT Health San Antonio, offers a BSN pathway that is fully accredited. Their approach to nursing education combines innovative teaching, quality research, compassionate care and community service. Check out the official UT Health San Antonio nursing program. Best practice standards at Austin Community College in Austin, Texas are fostered by providing excellence in education, innovation, and responsibility. ACC nursing programs allow students to access the most up-to-date nursing curriculum and apply those practices immediately. Visit the Austin Community College nursing website to learn more. Texas A&M University, located in Commerce, offers a pre-licensure BSN program for those wishing to enter the medical field as registered nurses. Graduates of the program go on to provide care as RNs or continue their educational journey via a graduate nursing program. Check out the official Texas A&M University Commerce nursing program. Lamar University at Beaumont's nursing programs offer high tech simulations, rigorous clinical and theoretical teachings, and are regularly sought out by future employers before graduation. The program and graduates are highly regarded in the professional element. Visit the Lamar University nursing website to learn more. Chamberlain University's Pearland campus offers a 3-year BSN program for motivated students. The 122-credit hour program utilizes an on-site clinical environment as well as high-tech simulations to give students a real-world feel for nursing. Get all the program details by visiting the Chamberlain University - Pearland website. Lone Star College’s Kingwood campus offers ADN pathways for a variety of students, including a traditional ADN and an LVN to RN. These accredited, board-approved programs prepare students for RN licensure, providing and coordinating care for patients across the lifespan. Check out the official Lone Star College - Kingwood nursing program. The University of Texas – El Paso’s BSN program offers a curriculum designed to be completed in 15 to 24 months. It provides an innovative integrated and conceptual model for teaching and learning, preparing students for success in the nursing field. Follow the link to learn more about the University Of Texas - El Paso nursing program. Del Mar College's Nursing Department in Corpus Christi, Texas looks to the future of nursing and sees their graduates at the forefront. The faculty's unrelenting dedication to students produces compassionate and highly trained nurses of the future. Check out the official Del Mar College nursing program. Clinical practice, skills laboratories, and challenging curriculum are all part of the RN programs at Wharton County Junior College in Wharton, Texas. Graduates confidently enter the field knowing they received their training and education from a front running college staffed with highly regarded professionals. Check out the official Wharton County Junior College nursing program. Tyler Junior College’s ADN program offers pathways including a traditional track, an LVN to ADN, and a Paramedic to RN. The average costs for 2 years at TJC are less than a third of the cost of taking the same 2 years at a state university. Get all the program details by visiting the Tyler Junior College website. Killeen’s Central Texas College is committing to nursing excellence by offering several associate degree pathways. These programs are fully accredited and prepare graduates for professional practice in a variety of healthcare settings. Check out the official Central Texas College nursing program. Midland College provides a nursing pathway via its associate degree program. Students can be on their way to a career as an RN after completing 70 semester credit hours of instruction, which includes courses in Health Assessment, Dosage Calculations, and more. Learn more by visiting the Midland College nursing website. Hillsboro's Hill College offers an ADN nursing program which utilizes classroom instruction and clinical skills practice to prepare tomorrow's registered nurses. The 60-hour, 2-year program includes courses in Anatomy, Pediatrics, Nutrition, and much more. Learn more by visiting the Hill College nursing website. Huntsville’s Sam Houston State University boasts a BSN program to help meet the demand for skilled registered nurses. Enrolled students take coursework rooted in both theoretical and practical applications in order to pass the NCLEX-RN exam and practice in a professional capacity. Get all the program details by visiting the Sam Houston State University website. El Paso Community College offers an Associate of Applied Science degree in nursing that focuses on evidence-based patient care. Graduates of the 60-credit full-time program have a 90% job placement rate in facilities such as hospitals, clinics, and more. Follow the link to learn more about the El Paso Community College nursing program. Paris Junior College’s ADN degree program that begins with one year of LVN training, after which students are eligible to continue their education with the ADN program. The associate degree program prepares students for licensure as an RN. Visit the Paris Junior College nursing website to learn more. Temple College's associate degree pathway to nursing trains independent thinkers and lifelong learners to find success within the nursing field. The two-year program also boasts a 96.6% NCLEX-RN examination pass rate. Get all the program details by visiting the Temple College website. 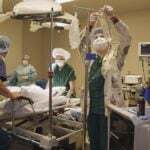 One of the oldest continuing education colleges west of the Mississippi can also boast a renowned nursing program with high success rates. Weatherford College is located in the city of Weatherford, Texas, just west of Fort Worth. Visit the Weatherford College nursing website to learn more. Texas A&M University's Corpus Christi campus offers students a pre-licensure BSN degree track designed to deliver a broad foundation in nursing. TAMUCC's program is five semesters in length, and program admission is granted three times a year in fall, spring, and summer. Learn more by visiting the Texas A&M University - Corpus Christi nursing website. Angelo State University offers a highly competitive BSN program that is fully accredited and board-approved. The curriculum boasts cutting edge nursing courses to prepare students for a wide range of nursing careers. Get all the program details by visiting the Angelo State University website.